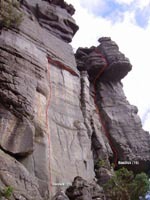 Above: Michael leading the very sustained vertical corner crack "Blimp", grade 20. 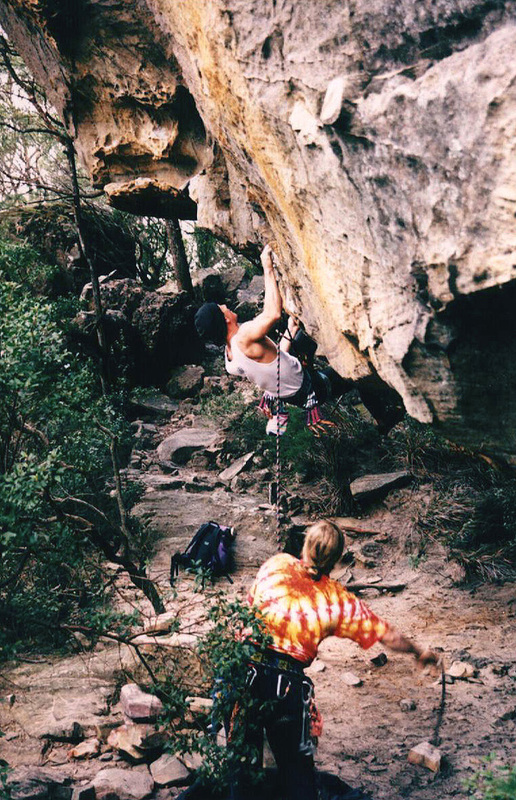 Above: Jacqui and Rohan work "Angular Perspective", the awesome 35m grade 27 that fires through the huge overhanging roof of the camping cave. 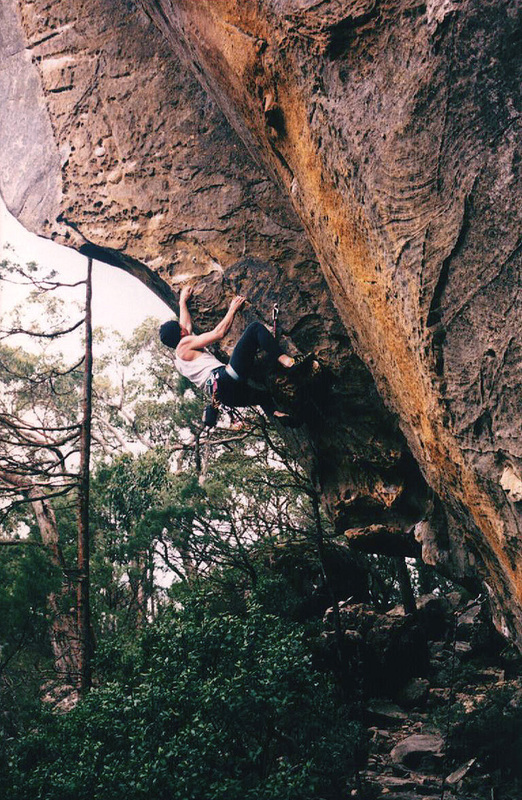 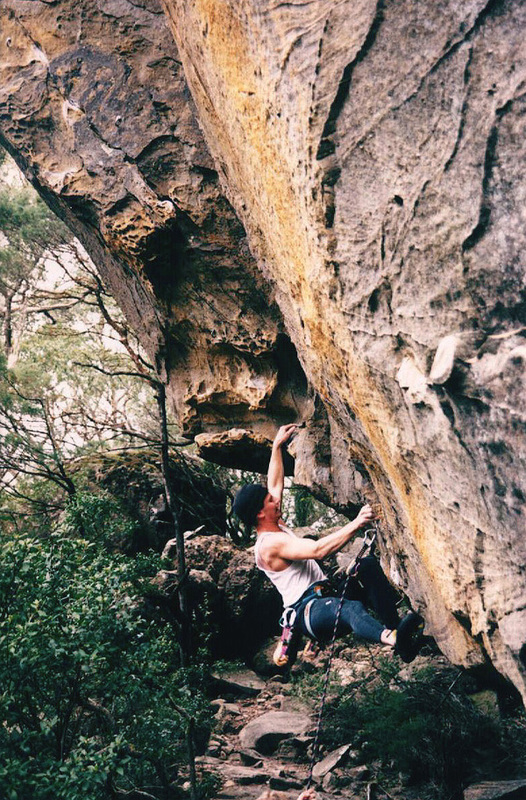 Jacqui powers through the first two bolts of the super overhanging Angular Perspective at Bundaleer in the Grampians, before falling trying to make the committing dyno to the third clip. 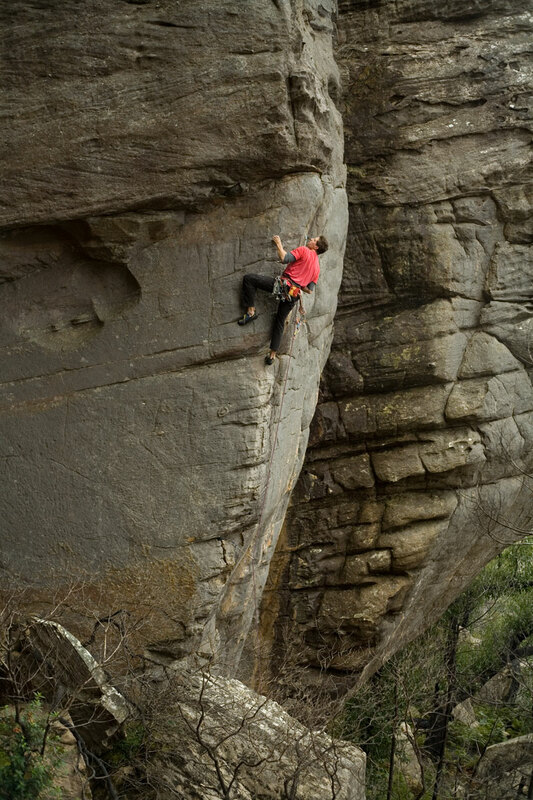 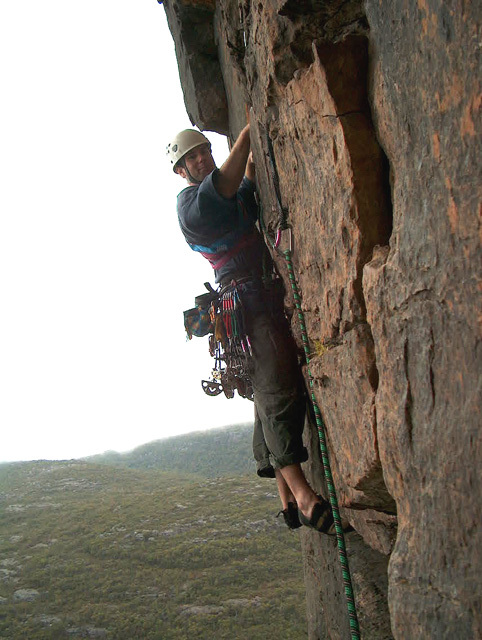 Rohan cranks to the first bolt of the super overhanging Angular Perspective at Bundaleer in the Grampians. 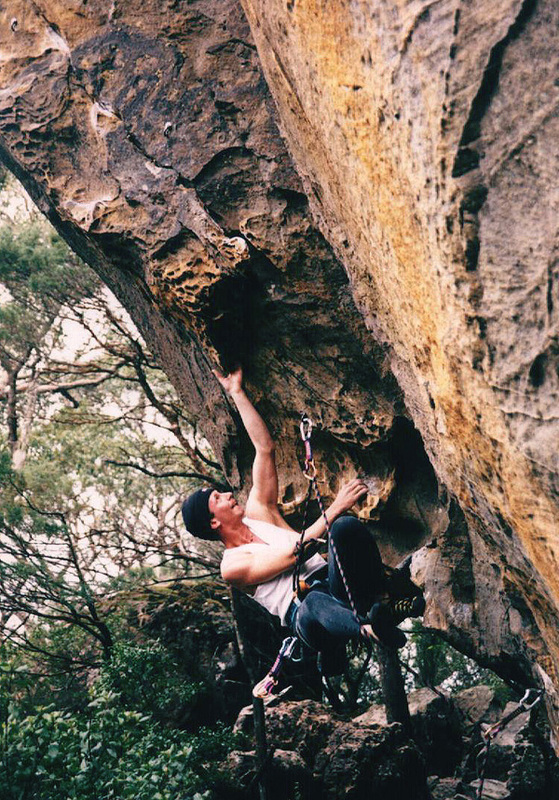 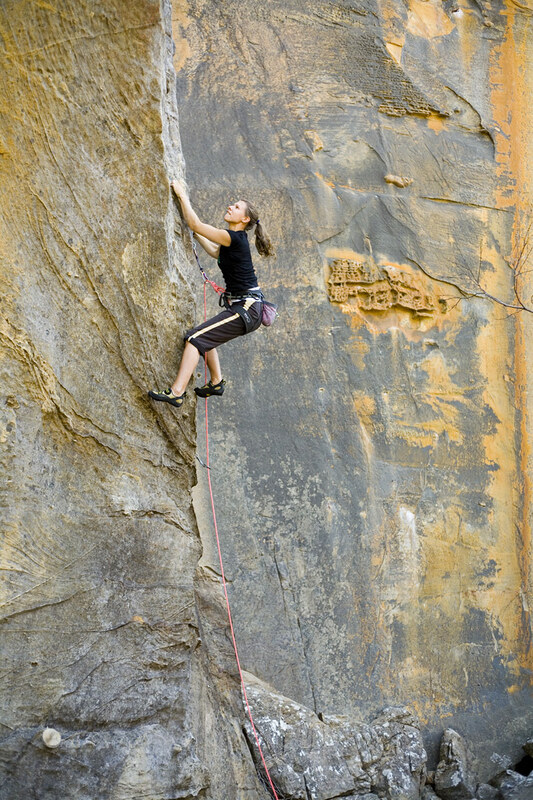 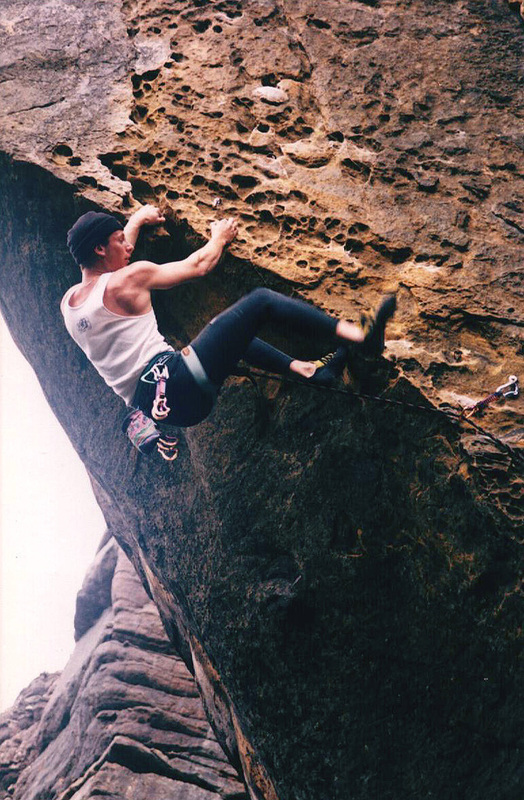 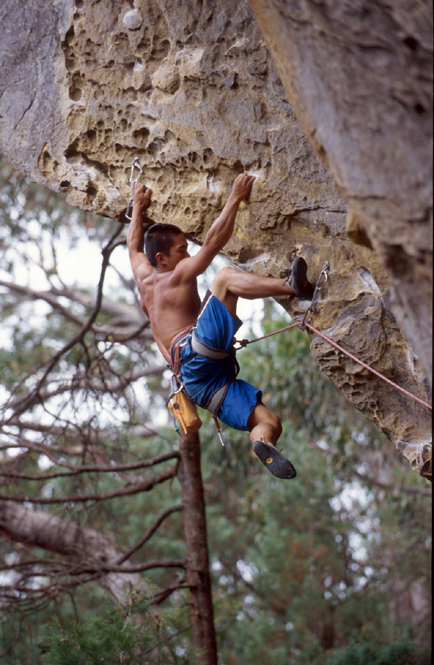 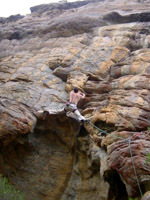 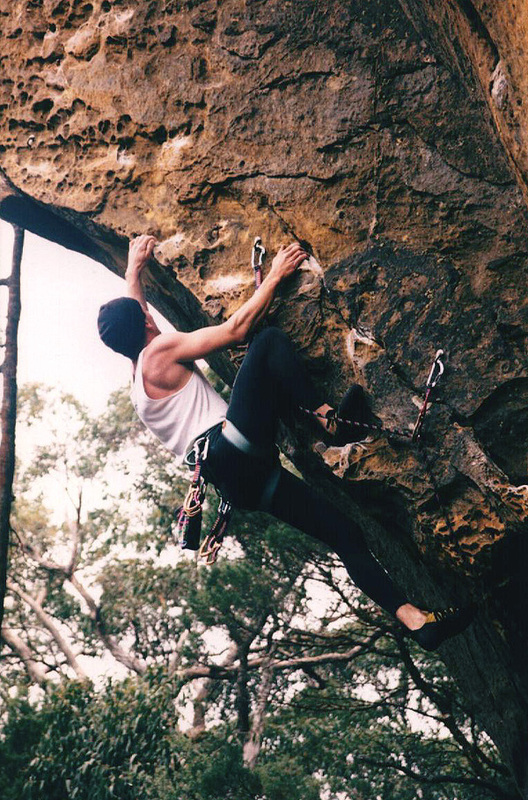 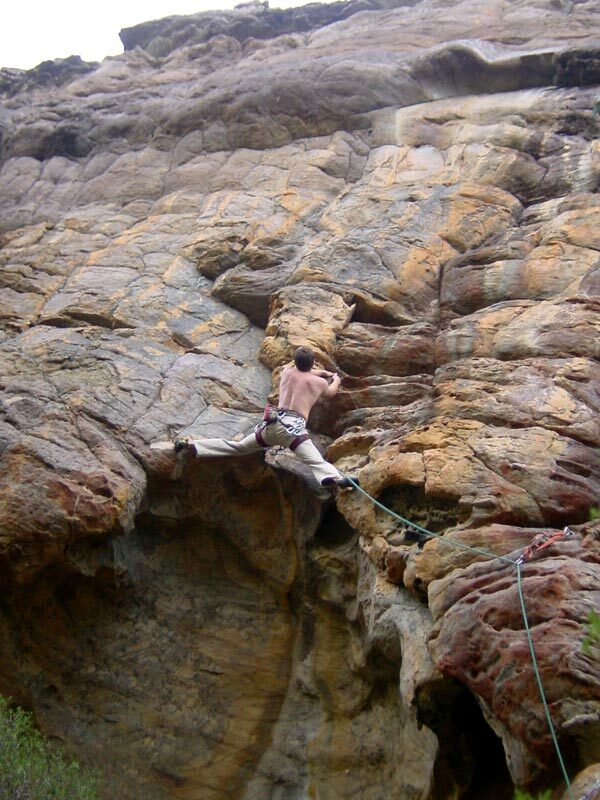 Above: Pulling on pockets, Damon cranks the lead of Manic Depressive a 15m grade 25 sport climb at Bundaleer in the Grampians. 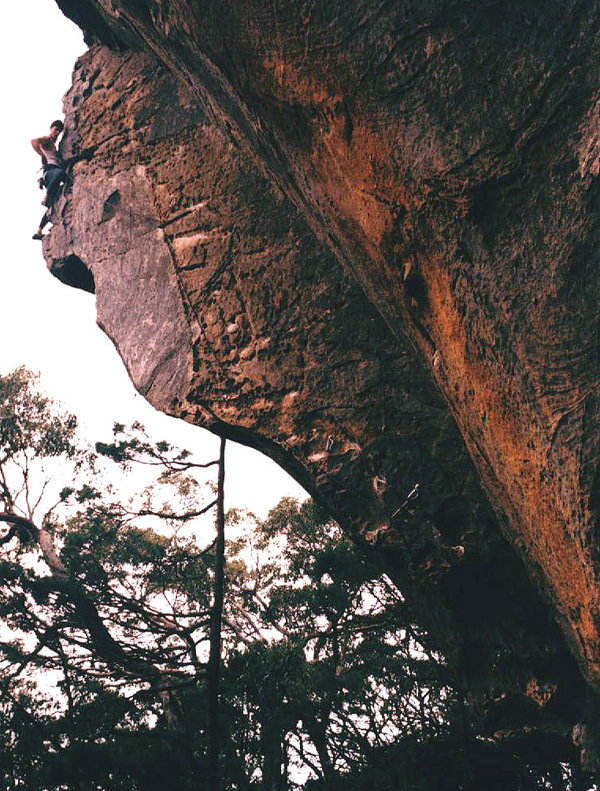 Above Left: Alissa on the bouldery start of Lunging For Melons (22) at Bundaleer. 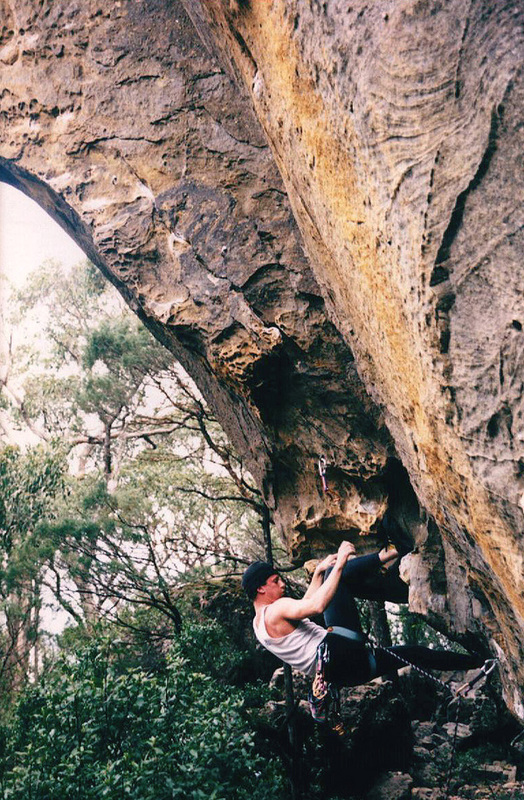 Above Left: Luke Cranking through Skulthuggery, grade 26. 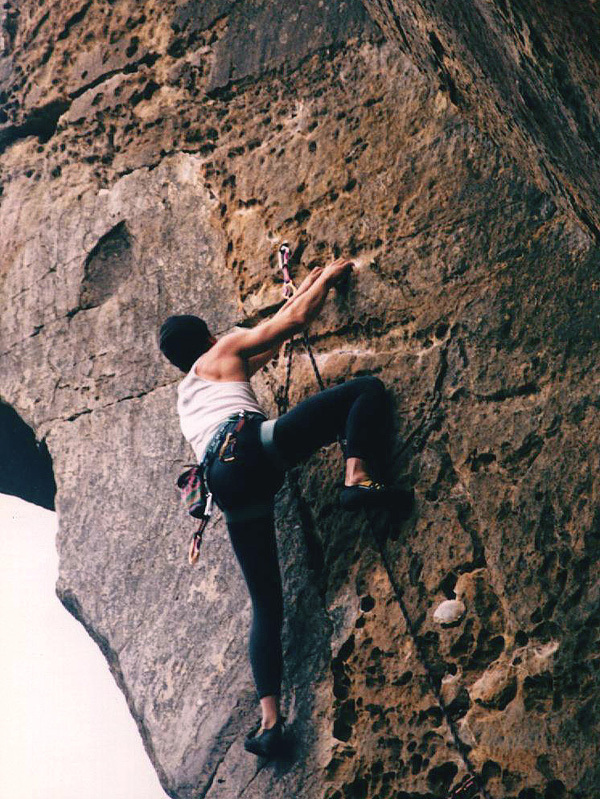 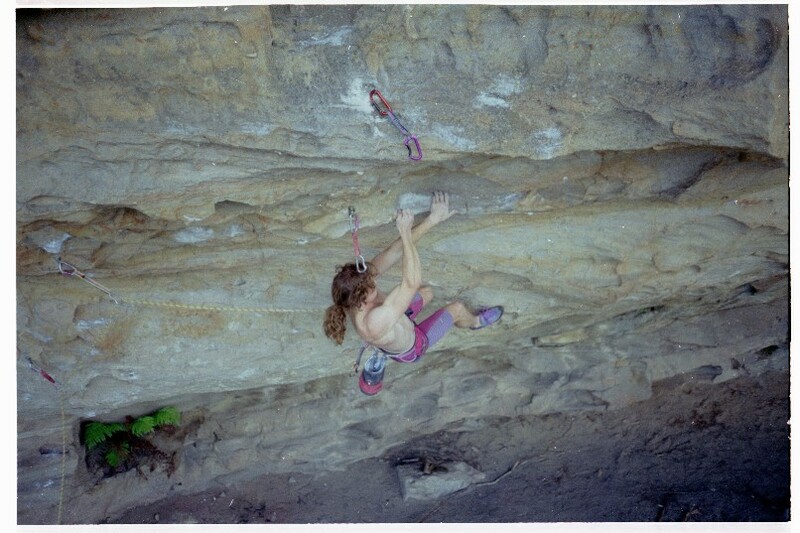 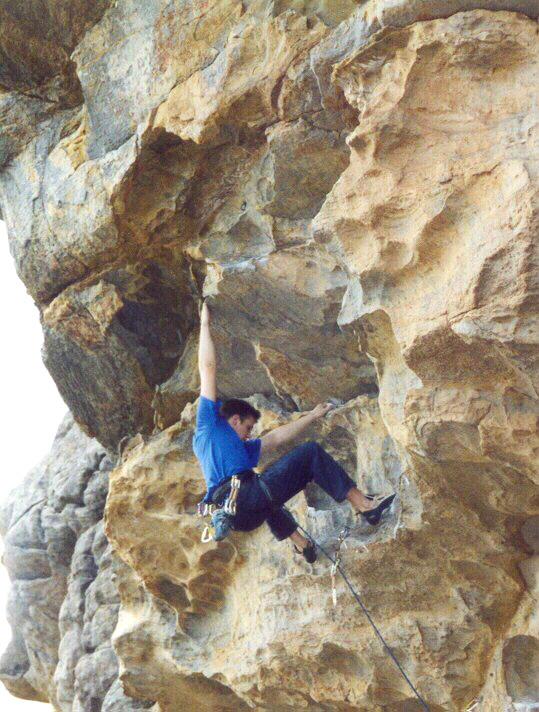 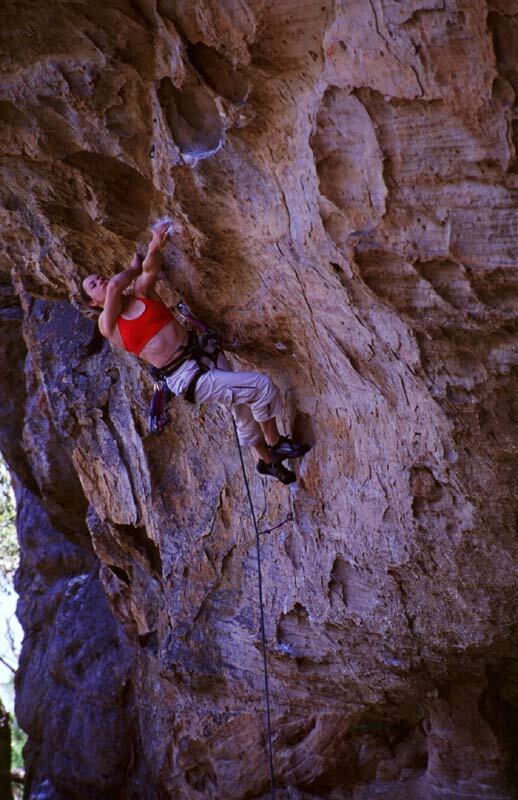 Above: Martin on the first ascent of Skulthuggery (26).